5 Celli. Purcell’s original proved a point by constructing a 5-part fantasia while one of the instruments played nothing but middle C! 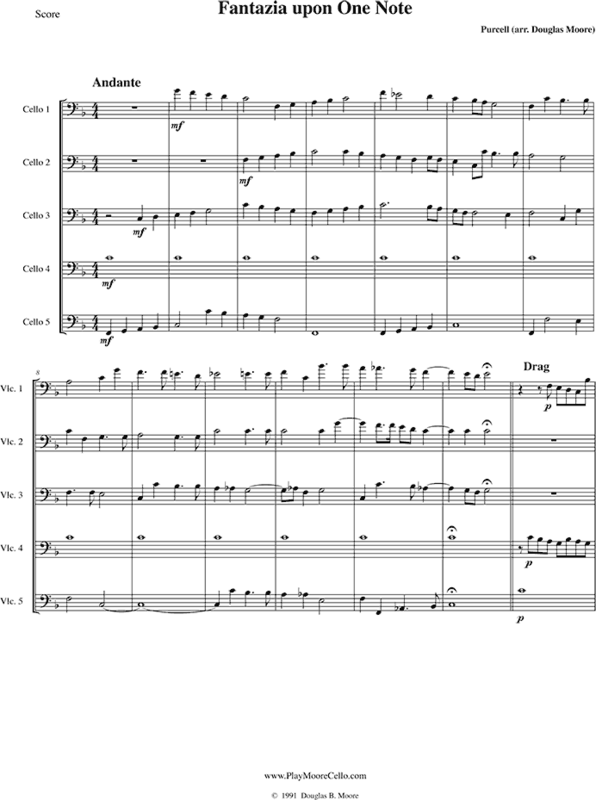 My arrangement follows Purcell’s closely except that I pass the middle C around among all five cellists. Mostly easy as all parts are in bass clef and seldom above fourth position. Also available for 5 violas.